Advantech HMI series contains high-performance panel PC's, low-power industrial thin clients and web terminals for smart factory applications and industrial monitors. The control panel series, by Advantech, are fanless industrial PC's which are PC-based open control platforms supporting flexible iDOOR and PCle expansions. Advantech's web-browser terminal can serve as web terminals featuring smart i/o expansion, fieldbus support that operate in wide temperature. The compact, fanless and low-power industrial thin client modules from Advantech are mainly used as process visualization tools monitoring work flow, and are used as MES. 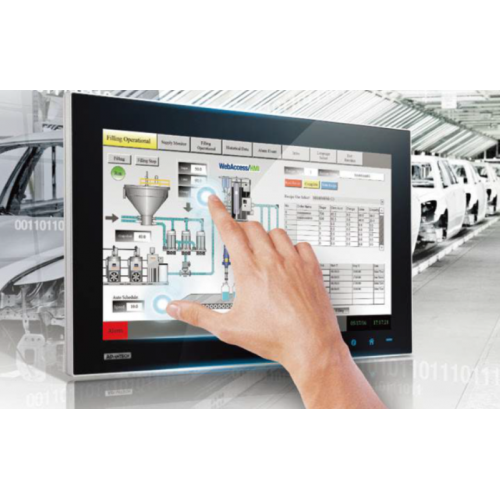 With the arrival of Industry 4.0, conventional all-in-one automation panels lack the flexibility to meet industry requirements. 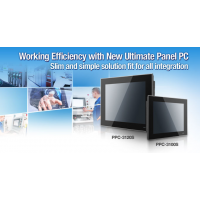 To address this need, Advantech created its series of modular panel PC solutions based on three performance-segmented modules - a control panel, an industrial thin client and an industrial monitor. The modular design allows the computing box modules to be interchangeably combined with Advantech's display modules to provide comprehensive platform solutions for specific field applications. Advantech's operator panels, the WebOP-2000T series, feature RISC processors, WebAccess/HMI and support over 450 PLC industrial communication protocols. 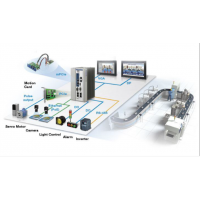 Domain-focused customizable HMI systems, from Advantech, with EN50155 and IP69K verification are sufficiently robust for operating in extreme industrial environments. Advantech's industrial monitors, include touch screen, capacitive touch screen and resistive touch screen products, and provide industrial-grade LED LCD, high IP-rated bezel and wide temperature operation.